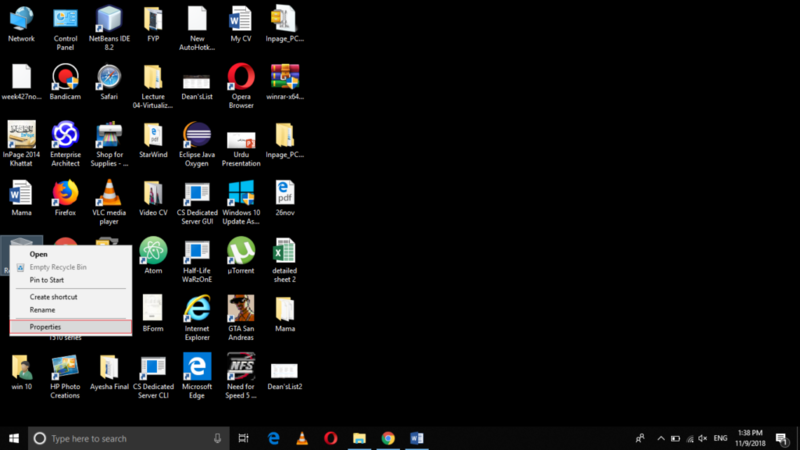 The recycle bin is considered as one of the most important components of any operating system as it holds all those files and folders that you have deleted. 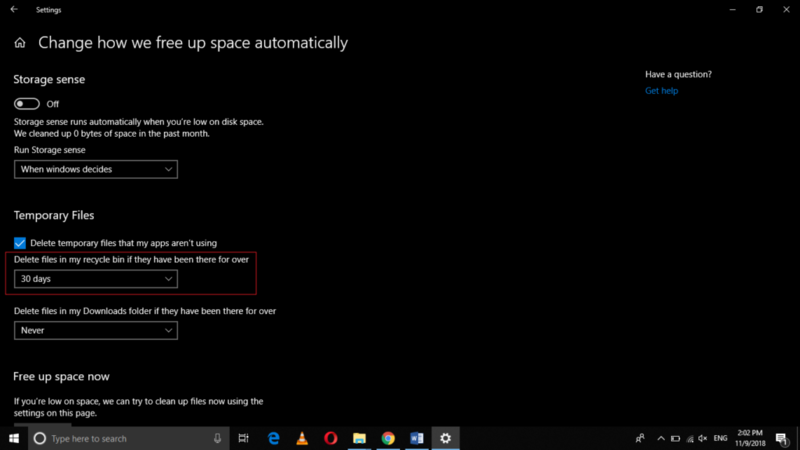 The biggest advantage of the recycle bin is that if you have accidentally deleted any file and you need it later on, then you can easily restore it from the recycle bin. 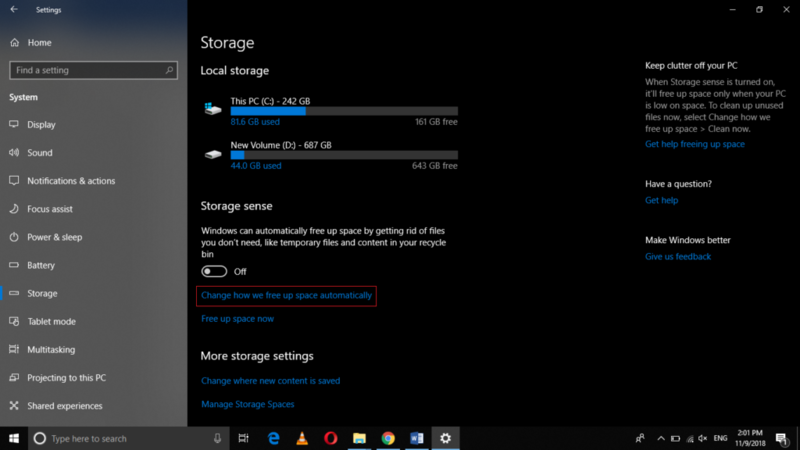 In this article, we will explain to you the method through which you can change the recycle bin settings in Windows 10. 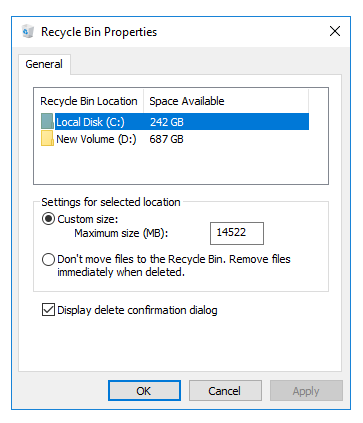 From the Recycle Bin Properties window, you can assign a size of your choice to the recycle bin. For doing this, just type a size in MBs in the text box corresponding to the field of Custom Size. Whenever you try to delete any file, it is not permanently removed from your computer system rather it resides in your recycle bin unless you remove it from there too. However, you can choose to remove your files permanently without going into the recycle bin as soon as you delete them. In order to do this, select the radio button corresponding to the field saying, “Don’t move files to the Recycle Bin. Remove files immediately when deleted”. The checkbox corresponding to the field of "Display delete confirmation dialog" is checked by default. You can uncheck this check box if you do not want this dialogue box to appear at the time of deletion. Once you have made all your desired changes, just click on the Apply button and then click on the OK button to save your settings. Now click on the Storage tab. 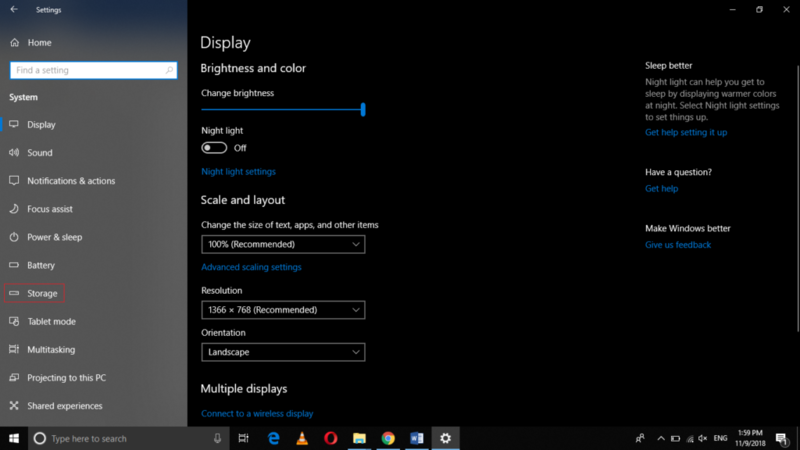 By following the method discussed in this article, you can easily change the recycle bin settings in Windows 10. 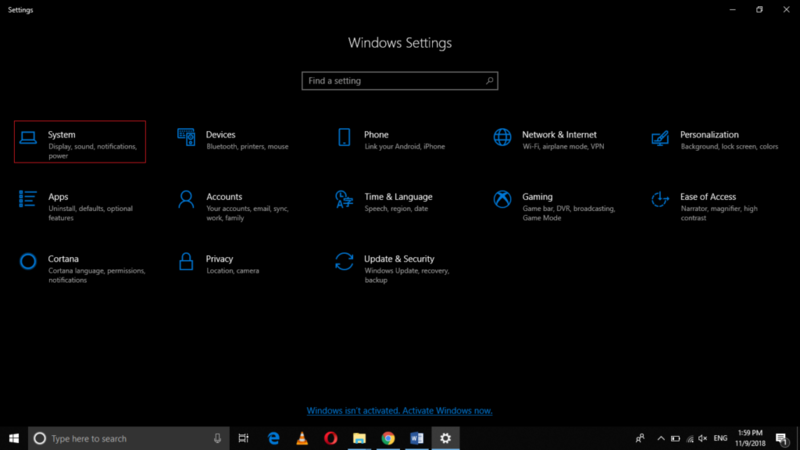 In this way, you will be able to customize the functionality of your recycle bin right according to your own choice.